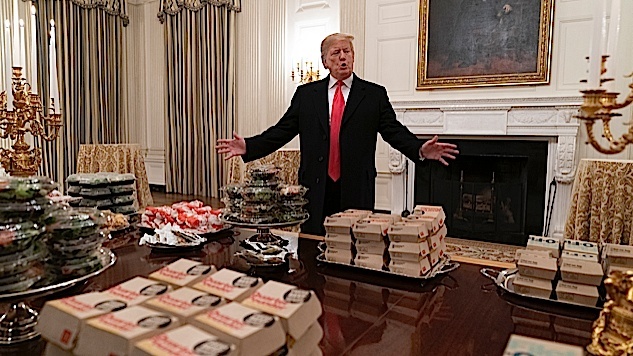 President Trump invited the Clemson Tigers—2018 college football champs—to the White House, where he served a banquet of “McDonald’s, Wendy’s and Burger Kings (sic) with some pizza,” because he assumes “that’s their favorite food.” They apparently liked it. Here we see the President gloating over Kentucky Fried Chicken. In similar style, we have the famous Taco Bowl tweet. 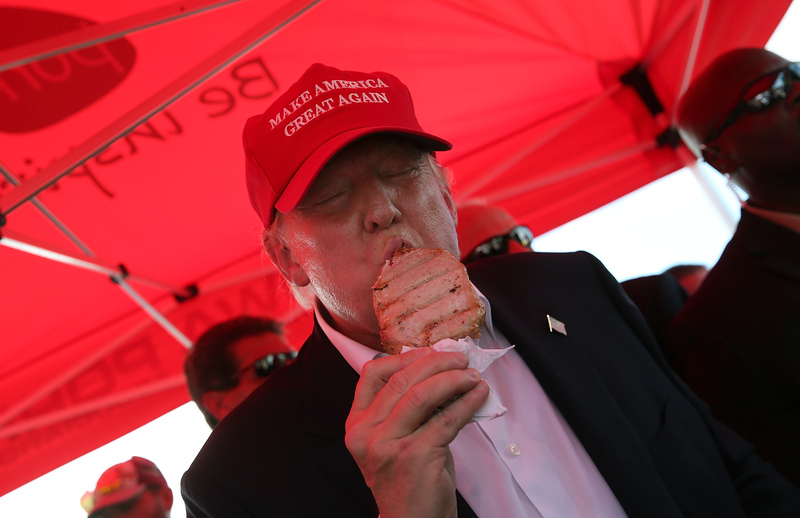 Here's the President of the United States eating meat on a stick. Trump likes to enjoy junk food while watching elite athletes. He really seems to enjoy this. 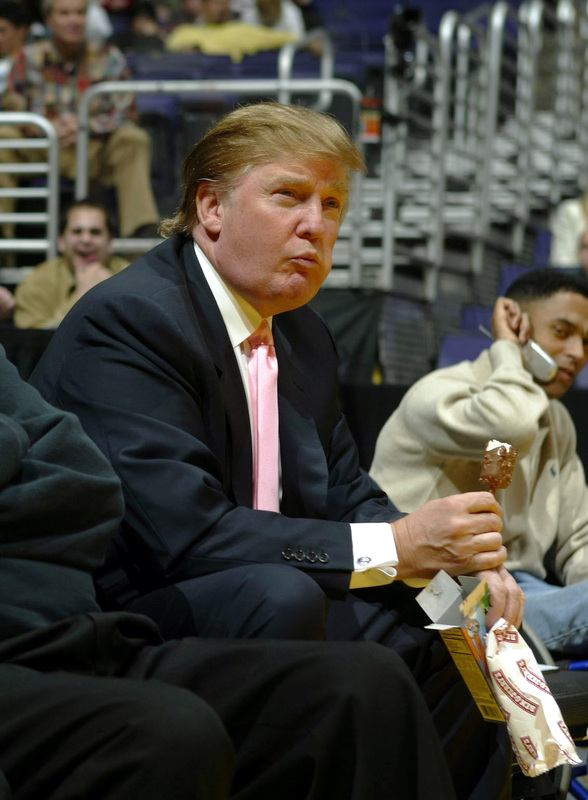 Here he takes a break from the ice cream to stuff pretzels court-side. Hell, here he is eating ice cream while playing a sport. Here Donald Trump prepares his mouth with a well-done Trump Steak, sold exclusively at the Sharper Image electronics store.